Planets won't eat my ships any more? You guys R O C K ! I absolutely adore CoM based thrust! Btw, what's the skybox used in the videos? Btw, what is the skybox used in the videos? The skybox is a new thing we are cooking... it's not out there yet (not in this update), but we felt we really want to start using it in all our new videos and screens. First of all, i really want to commend you for this milestone in development, i am sincerely grateful for all the time and dedication you have placed into making this game and sticking all the way to this day and delivering your roadmaps and milestones, congratulations! once again, thank you! for your hard work and dedication. 1) Have you upgraded Havok version to make this possible? 2) What do you mean by strengthening the constraints? You mean increasing the number of iteration steps, or only adjusting some constraint parameters? According to older GitHub source code, there's not to adjust on constraints itself (solving method, stabilization factor, maximum forces). Absolutely incredible. I've never used pistons or rotors much at all for fear of problems... now I can actually start having some fun with them. Great Update, really nice to see the improvements that the team has made. One thing that I am really waiting for is stable Multiplayer that allows 30+ people without server issues. While this is a step in the right direction do you feel the team will ever reach this level in MP? As a mechanical engineer I can say that was quite a read. Impressive work. I look forward to playing after work tonight. Thank you very much Martin Pavlicek! Please give this guy a bonus & a vacation! Happy with everything except center of mass corrected thrust. The whole point of playing this game was because I enjoyed the realism, and center of mass corrected thrust is not realistic. Give it back. @Marek Rosa, do you like turtles? When I was kid, I used to like Ninja Turtles, master Splinter, Shredder, and that kind of people. That was an interesting read. I think a lot of people underestimate how hard it is to do physical simulations, much less in real time. Every time I read "Clang" I kept thinking about the C compiler. Marek and Martin, congratulations for the work. Very good job to all ksh team. Very good idea to detail in this post all about the work that was done. This article is very good and detailed. While the update was not oriented to multiplayer, I can see large improvements in performance on my dedicated server. 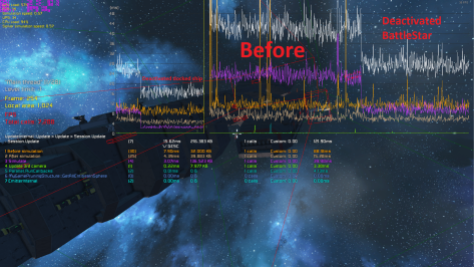 Regards from all people of space engineers latino dedicated server! I love you guys! I love physics and I have se! I`m at loss for words, Keen, you`ve done it. You`ve just proven how good you are as a team and SE as a game. It`s simply incredible what you`ve achived. I had a thought about the double piston phantom force problem. 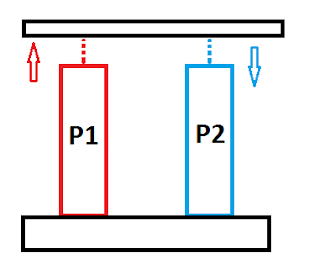 You could implement a cheat where you detect double-linked pistons and force them to be always be the same length, then have that group of pistons "fight it out" amongst themselves to see what that length should be. The side effect would be that no amount of tension between pistons would ever break the grid, but it might be a good compromise? But RE "The original vision of Space Engineers was to build a game where physics behave exactly as in the real world"... come on! :D Do thrusters in reality effect the center of mass of entities? :D I still remember when I started to play, naturally assuming that thruster placement matters; and I was disappointed to realize that I can just put a thruster on the very end of a long grid, and it will still move in a straight line without rotating at all. as you said: there is no safety lock option, so you need to set it up (torque, angle limits) correctly. Please send your blueprints to ondrej.nahalka@keenswh.com and I will check it out. Thanks for the tip! I'm not that good with rotors but by adjusting the Torque and angle limits I was able to keep the sub grids in place without movement while flying. I guess I just didn't know what settings to fix. I appreciate the fact that you found the time to offer help, you don't see developers personally offer help to players often....Keep up the good work guys your game is amazing and only getting better! this is truly a milestone! I still kind of hope that SE will at least in name preserve their holy god Clang. I'm wondering about the CoM 'correction'. 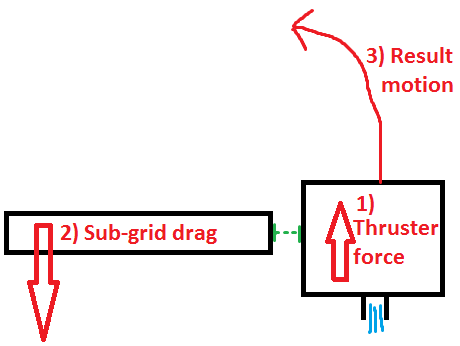 i know this is how engines should work in SE, but CoM and thrust direction and position do play a role in IRL physics. 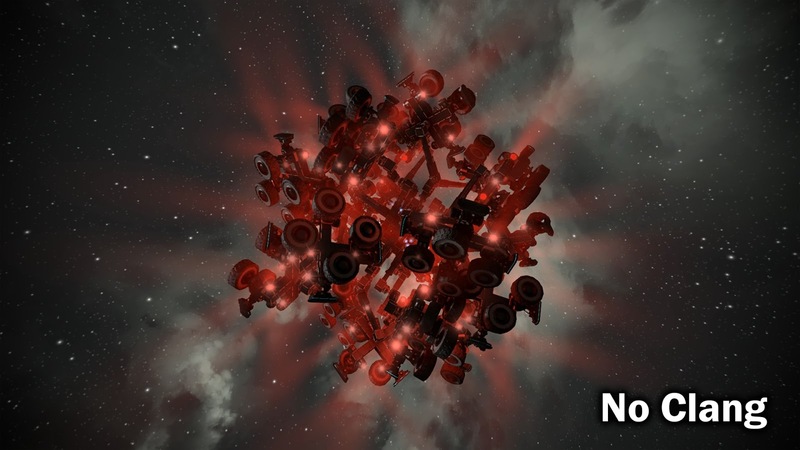 There are mods on the workshop currently, such as "Realistic Thrusters", that are used to increase realism in that area. would you think about adding something along the lines of an arcade/realism mode for physics like you did for sound? This was an amazing update and will certainly bring me and perhaps several others back into SE, who before were facing physics and lag issues. Thank you for your work on and for SE (and GoodAI)! Do rotors still have the same max rotation speed? 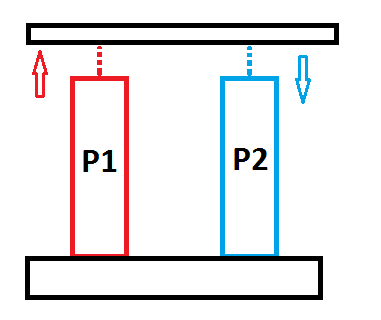 Example, if you have two rotors, with rotor 2 attached to the rotor of rotor 1, and you set them both to max speed, what will be the net rotational speed of the 2nd rotor? Please test cars in multiplayer, they twitch and any player nearby gets teleported around. Also with attached thrsuster it gets worse, if you turn them of it gets better.